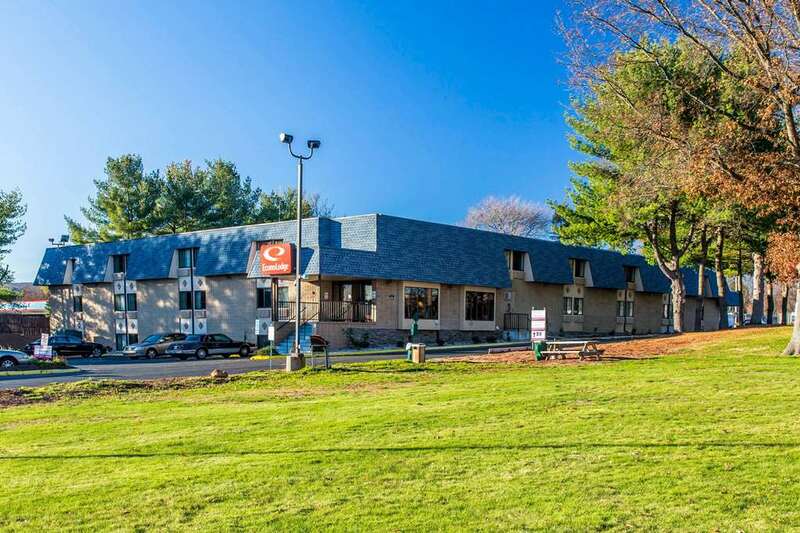 The Econo Lodge hotel in Milldale, CT located off Interstates 84 and 691 near Golf Quest, Hubbard Park and Lake Compounce is an easy stop on the road. Nearby destinations include Hitchcock Lake and Mount Southington Ski Area, American Clock and Watch Museum, New England Carousel Museum, Aqua Turf Club, Testas Banquet Facility and Hawks Landing Country Club. Enjoy amenities like free continental breakfast, free WiFi, fitness center, guest laundry facilities and access to copy and fax services. Guest rooms include a TV, coffee maker, hair dryer, work desk, iron and ironing board. Also, earn rewards including free nights and gift cards with our Choice Privileges Rewards program. Pet Accommodation: $10 USD per night per pet. Max 2 pets Max 55 lbs.